Credit: NASA/JPL-Caltech (view JPL Image Use Policy). Download this movie (MP4, 32.2 MB). 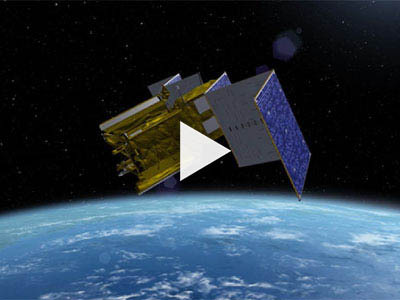 [01-Mar-16] The deployment of SWOT's solar panels is featured in this animation. When SWOT is in orbit, solar arrays will be deployed from opposite sides of the spacecraft bus, using small drive motors to keep them pointed at the Sun.